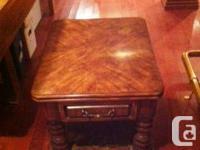 Coffee Table and End Table for sale. Best Offer. Call for more information.